The giraffe is the tallest land animal. Now, sadly, it is at risk of extinction. That news has come from biologists. 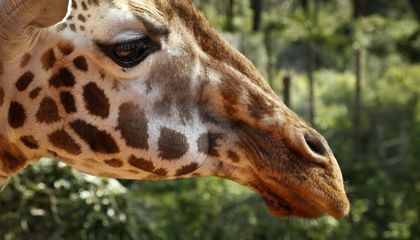 The giraffe population has shrunk nearly 40 percent. It has happened in just 30 years. Scientists put it on the official watch list of threatened and endangered species worldwide. The scientists have called the giraffe "vulnerable." That's two steps up the danger ladder. Its previous designation was a species of least concern. In 1985, there were between 151,000 and 163,000 giraffes. But in 2015 the number was down to 97,562. That is according to the International Union for the Conservation of Nature (IUCN). While everyone worries about elephants, Earth has four times as many of them as giraffes. That is according to Julian Fennessy and Noelle Kumpel. They are co-chairs of the specialty group of biologists that put the giraffe on the IUCN Red List. They both called what's happening to giraffes a "silent extinction." But they're not, Fennessy said. Until recently, biologists hadn't done a good job assessing giraffes' numbers and where they can be found. The giraffes have been lumped into one broad species. However, there are nine separate subspecies. "There's a strong tendency to think that familiar species (such as giraffes, chimps, etc.) must be OK. Because they are familiar and we see them in zoos," said Duke University conservation biologist Stuart Pimm. He wasn't part of the work. But he has criticized the IUCN for not putting enough species on the threat list. "This is dangerous." Fennessy blamed shrinking living space as the main culprit in the declining giraffe population. It is worsened by poaching and disease. People are moving into giraffe areas. This is especially in central and eastern Africa. 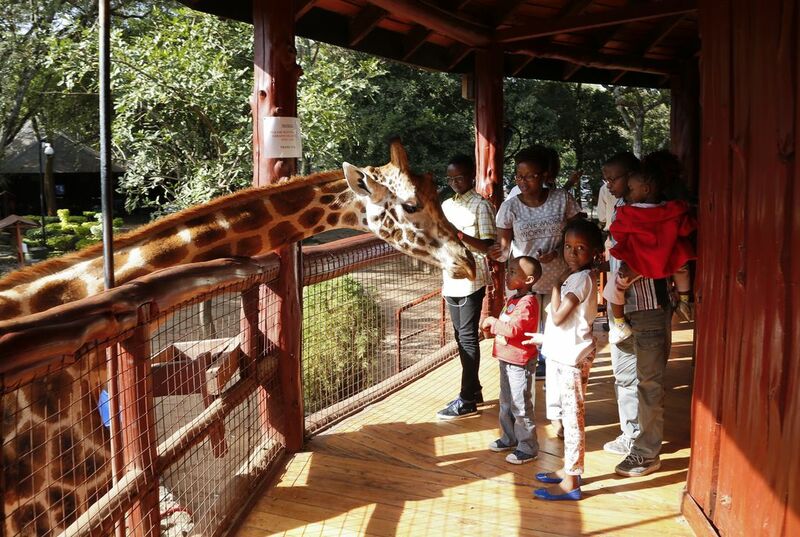 Giraffe numbers are plunging most in central and eastern Africa. They are being offset by increases in southern Africa, he said. This has fragmented giraffe populations. They have shrunk in size with wild giraffes gone from seven countries. The countries include Burkina Faso, Eritrea and Guinea. They also include Malawi, Mauritania, Nigeria and Senegal. This is according to Kumpel of the Zoological Society of London. The status of two snake species worsened. The ornate ground snake, which lives on the tiny island of Saint Lucia, deteriorated from endangered to critically endangered. The Lacepede's ground snake of Martinique was already critically endangered. Not it's considered possibly extinct. So is the trondo mainty. It is a river fish. It lives in Madagascar. But there is also good news for some species. The Victoria stonebasher is a freshwater fish in Africa. It went from being considered endangered to least concerned. It now has a stable population. An African plant, the acmadenia candida, was declared extinct. It has been rediscovered. It is now considered endangered. Another freshwater fish is the ptychochromoides itasy. It hadn't been seen since the 1960s. It too, has been rediscovered. Small numbers of them have been found in Africa's Sakay River. The fish now is considered critically endangered. I think it is super sad that giraffes are going extinct. I think that we should do something about it. its sad that this is happening to giraffes because its happening to tigers, pandas, rhinos, etc. It is good that people are starting to post this bring more attention the giraffes that are dying.SO they would not be over powered by the elephants. My third favorite animal is a giraffe so I don't really like how low the numbers are getting. Soon enough they could get even lower and that's not good. But I liked this article cause I like animals! Giraffes are familiar because they are the tallest land animal,and at risk of extinction.Nearly 40% of there population has shrunk in 30 year.In 1985 there was 151,00-163,000 giraffes.But I still like them because there so tall and their color is just so cute. Giraffes seem very familiar from there long necks. How tall they are compared to other animals, they are the tallest land animal. There orange and black shapes on there body. The spots look unique on the giraffe. Also because they are also becoming endangered in the wild.